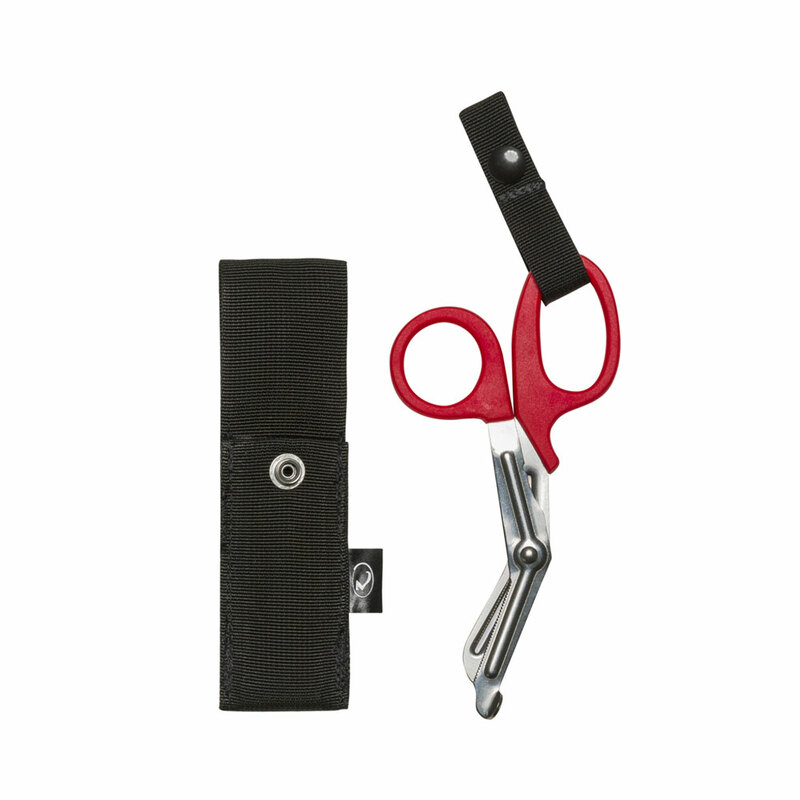 EMT SHEARS WITH SHEATH Sheath is permanently mounted to any webbing strap. To attach the sheath, locate the plastic rivet stems that protrude from the back of the sheath. Determine where you would like the sheath to be mounted. Mark the location and using a hole punch or small soldering iron place a hole just large enough to stick the rivet stem through. Push the rivet stems through the holes and snap the female caps (included) onto the stems. NOTE: These rivets are designed for permanent installation and must be broken in order to be removed. Sheath is permanently mounted to any webbing strap. To attach the sheath, locate the plastic rivet stems that protrude from the back of the sheath. Determine where you would like the sheath to be mounted. Mark the location and using a hole punch or small soldering iron place a hole just large enough to stick the rivet stem through. Push the rivet stems through the holes and snap the female caps (included) onto the stems. NOTE: These rivets are designed for permanent installation and must be broken in order to be removed.